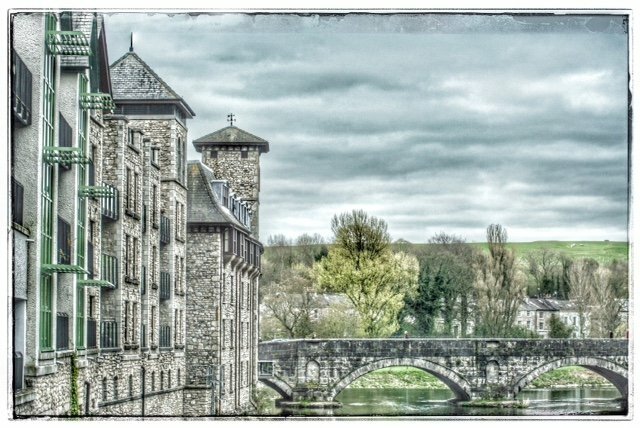 Stramongate Bridge, Kendal - taken from the car going over one of the other five road bridges that pass over the River Kent. Like a painting...soft colors and nice composition. Fav. This is beautiful - must fav. Love that bridge!! Great capture of the stonework. @paul10 @tonygig @yorkshirekiwi @hermann @pdulis @onewing @jesperani @merrelyn @laurieewilson @seattlite @craftymeg @kwind @carolmw @bkbinthecity @dawnee @ziggy77 @gardenfolk @chris17 @elisasaeter @linnypinny @olivetreeann @888rachel @taffy Thank you so much for the great comments and faves and putting my pic on the tp and pp, it is so very much appreciated. I must admit I was surprised the shot came out so clear as we were moving in slow traffic and I nearly didn't take it - but the photographer in me prevailed! That shot is magical - the detail is so precise!